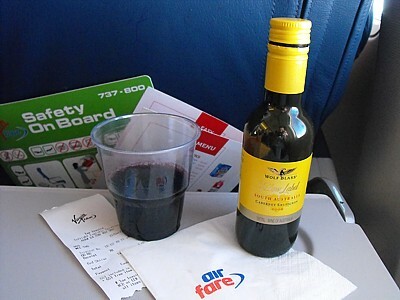 Virgin Australia have scrapped free drinks on all domestic services. However there is still free tea coffee and water. 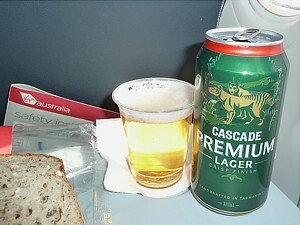 And on flights between the state capitals (Melbourne, Sydney, Brisbane) there is one free beer or wine offered between 4pm and 7pm, and on East-West coast transcontinental services, from Brisbane, Sydney or Melbourne to Perth there is one free beer or wine (after midday). 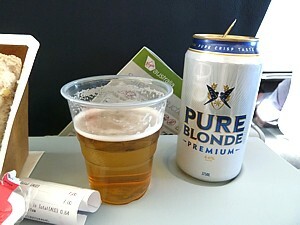 Pure Blonde Beer served on Virgin Australia is touted as Australia's leading low carbohydrate beer. It's actually not bad: Pure Blonde is a crisp, clean, easy drinking beer that isn't particularly challenging, and is just a good 'drinking' lager. 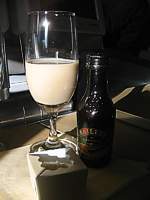 Now owned by Fosters, the Cascade Brewery is the oldest continually operating brewery in Australia, based in Hobart, in Tasmania. The beer it pumps out is pretty much like Fosters really but as an Australian-style lager it is also hopped with "Hersbrucker" to give the beer a distinct spicy flavour. 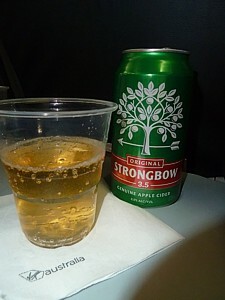 Strongbow is a dry cider produced by Bulmer in the UK since 1962. Not this stuff though - it's pure Aussie. Originally from Bordeaux, but more famous from the Loire and New Zealand. It is the grape variety behind Sancerre and Pouilly Fume. The Yalumba winery consistently over-delivers, and this is no exception. Fresh and bright on the nose with hints of snow pea and passionfruit. Crisp and lively on the palate with tropical fruit flavours and cleansing acidity. Sauvignon Blanc from this well known South Australian vineyard is pretty good, displaying distinctive gooseberry and nettle flavours. This plummy, oaky Shiraz-Cabernet combo is a real 'best of' of Australian reds. 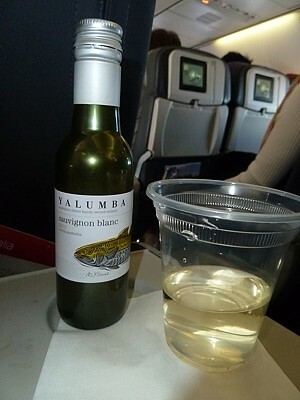 This is a wine to order on the long Perth flights if there is a warming beef stew on the tray table in front of you. 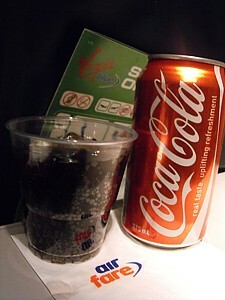 Great for a short hop up to Brisbane, Jim Beam and coke is very smooth. Jim Beam Kentucky Straight Bourbon Whiskey was originally distilled in 1795. Jim Beam has gone on to become an whiskey icon in Australia and across the world. Gordon's Gin with tonic. It could be worse, far worse. 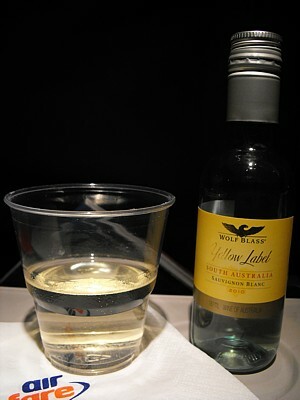 Great after a dinner on the Perth Redeye, before getting some kip at 38,000 feet. 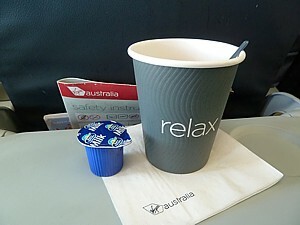 All reviews and opinions on Virgin Australia food, service, seats, planes, upgrades, lounges, and the Frequent Flyer scheme are given as a personal opinion. No legal liability is accepted if you take my advice.